Connacht had no answer to Chris Ashton, who enjoyed a hat-trick on his competitive debut for Sale Sharks. Wasps, without Christian Wade, battled back to draw with Bath, and Edinburgh battered Toulon in Saturday's European Champions Cup action. Christian Wade has been heavily linked with a career switch to the NFL, but Wasps boss Dai Young insists for now it is mere speculation. 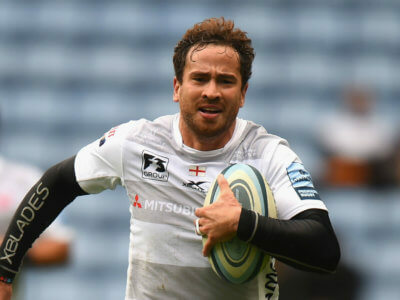 Gloucester could be set for a prolonged spell without Danny Cipriani, who was shown a red card for a high shot on Munster's Rory Scannell.